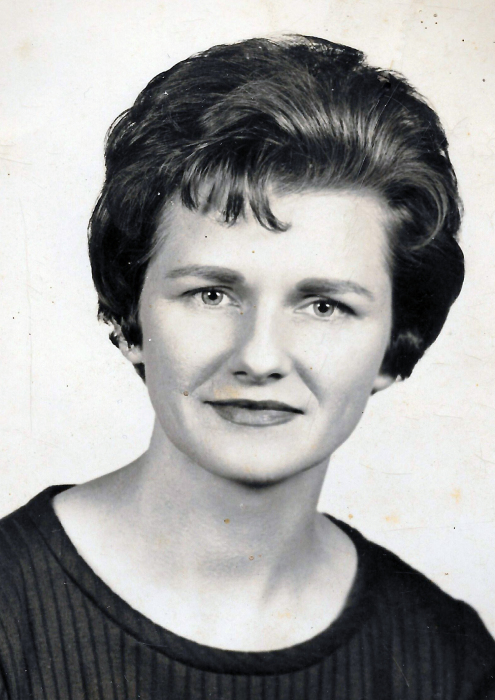 Patricia Ann “Pat” McCoy, 83, of Romance, AR, formerly of Birta, AR, died Monday, February 11, 2019, at Hospice Home Care in Little Rock. A daughter of Rufus and Irma Maerene (Williams) George, she was born October 30, 1935, in Birta. Following her graduation from Ola High School in 1953, she attended Draughon Business College in Little Rock. She was an Interior Decorator for 19 years with Stasco Furniture in Little Rock, and for 25 years with Home Furniture in Russellville. Pat was a faithful member of both the Bethlehem Missionary Baptist and the Landmark Missionary Baptist churches, where she served as pianist for over 60 years, taught in the Bible Study ministry, and worked with the church youth groups for over 40 years. She made sure the church facilities were welcoming with her interior designs and flower arrangements. For many years, she taught state Vacation Bible School workshops for other churches. Music was her greatest passion, but she also enjoyed sewing and cooking for her friends and family. She was preceded in death by her husband of 56 years, Dale Joshua McCoy; her parents; one brother, Danny George; and a sister, Barbara McCoy. She is survived by two brothers, Dickie George (Kay) of Kingston, OK; and James George (LaNelle) of Jackson, GA; a sister, Becky Underwood (Bob) of Dardanelle; a brother-in-law, Don McCoy of Birta; 14 nieces & nephews, 28 great nieces & nephews, and 16 great-great nieces & nephews. The family is very grateful for those nieces & nephews who became her caregivers, including Billy & Laura McCoy, Kenneth & Sherry McCoy, Judy Frost, Debbie George-Fort, and Patti Vance. Funeral services will be held at 2:00PM, Thursday, February 14, 2019, at Bethlehem Missionary Baptist Church, 14966 Old Highway 10, Ola. Rev. Michael McCoy, Rev. Larry Forte, and Rev. James George will officiate. Burial will be at Birta Cemetery by Humphrey Funeral Service. Visitation is 6:00 to 8:00 pm, on Wednesday, at the funeral home. Memorials may be made to the Mexican Mission sponsored by Bethlehem Missionary Baptist Church. Internet obituary and on-line guest book are available at www.humphreyfuneral.com.